Mixed Theme: Contributed and maintained by Pulsor. Russian Translations: Contributed by Pulsor. German Translations: Contributed by Godmode_On. French Translations: Contributed by lexo1000. 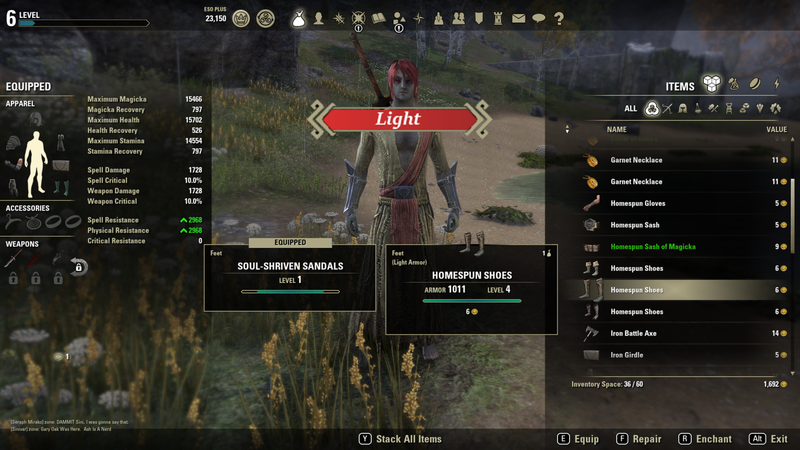 This addon is a reskin of many of the default ESO textures to a smoother and more subdued UI. 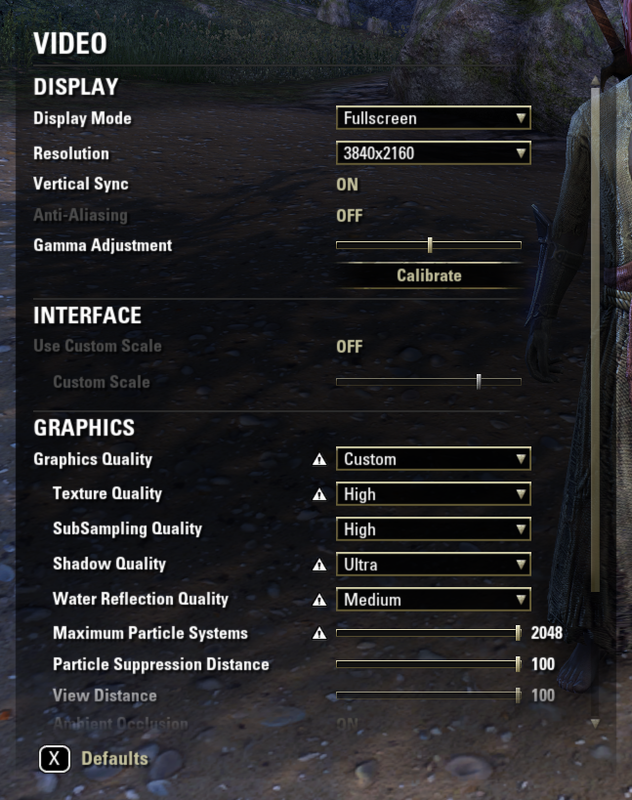 DarkUI focuses only on changing textures to improve the look and feel of ESO while being compatible with all other addons and having no performance impact. includes the Dark, Light, and Heart's Day themes. I want to offer something for everyone. Some people may not care for the dark UI so I would like to offer "Light" as an option. I think "Light" is a great alternative to the default UI and may offer more than similar addons. Also included Mixed rounded theme, which is contains some pieces from light and dark themes, removing most of dividers for a best look and smooths some edges. Keyboard & gamepad: Choose glossy or flat attribute, health, and charge bars. Keyboard & gamepad: Choose darker attribute and health bars. Keyboard & gamepad: Use the default game icons with DarkUI. Keyboard: Choose dark, light, or blue quickslot radial menu. Keyboard: Choose angled or squared compass edges. Keyboard: Hide the group frame background. Keyboard: Use low transparency backgrounds. Keyboard: Use smoothed backgrounds instead of cutted ones. Gamepad: Use grayscale Xbox/PS4 buttons. I darkened the default art assets for keyboard and gamepad to a dark charcoal color. I found this more subdued UI to be less distracting and I can focus more on what's happening in the game. A number of additional components have been updated to a darker frame including target frames, tel var stone frame, bounty frame, map border, etc. Also, by default, the attribute bars, skill bars, champion and level bars, and lockpicking timers have been made to a non glossy (flat) texture. There is an option in the addon settings to enable glossy bars if you choose. Please, let me know in the comments if something is not right or if there is something you would like to see added. This is a work in progress. Screenshots are always helpful for finding exactly where the problem might be. Thank you. Reloading the game is the best way to be sure that all textures reload. I find there are a number of textures that are cached and will not reload with any number of /reloadui's. Reload the game completely without DarkUI. Reload the game completely with DarkUI. 2.57 2019-04-15: API bump for Elsweyr. 2.56: 2019-04-03: French translation update contributed by lexo1000. Thank you! 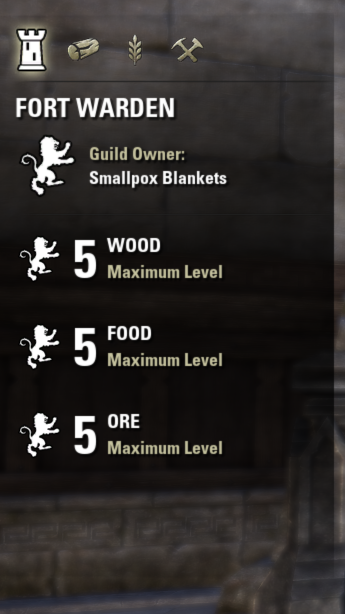 2.55: 2019-03-24: Added glyph trio icons to the guild vendor window. 2.54.1 2019-03-16: Pulsor: Another texture update. Added interaction key as separate option. 2.53.1 2019-03-15: Pulsor: A small texture update. Renamed mixed theme to "Mixed Rounded" on all languages. It will cause a little trouble to people who were using that theme. To fix it you just need to choose theme again and reboot the game. Removed interaction key option as unfinished. 1. French translations contributed by lexo1000. Thank you! 1. Mixed theme updated by Pulsor. This also includes some nice rounded border edges! 2. Russian translations contributed by Pulsor. Thank you! 3. German translations contributed by Godmode_One. Thank you! 4. I forgot to update the version in DarkUI.txt but I won't push another version just for that. Added localization. All text strings can now be found in lang/en.lua. If you would like to contribute translations, please copy en.lua to your language (fr, es, de, etc) and send them to me. Please, let me know if I broke something and thank you for your help. 2.50 2019-02-26: DarkUI-ified the story-line quest icon on the Group window. 2.49 2019-02-20: A couple more scope tweaks. 1. Made some of the functions local. I wasn't very careful with scope. This *might* be why some people have had problems getting this to load properly? I had some problems when I was putting ConspicuousQuestMarkers together with textures not loading until I set some functions to local so I thought it might help here. 2. API bump for Wrathstone. 2.47 2018-12-21: Happy Winter Solstice! 1. Added a Mixed Theme which combines elements of the Dark and Light UIs and removes a number of the divider lines. This was contributed by Pulsor to who I give a big thank you for their work and incredible patience. 2. Improvements to some of the smoother backgrounds contributed by Pulsor! 3. Removed the 3rd party libraries. If you haven't already done so you will need to get LibAddonMenu and LibStub separately. Links to each are on the Description page. 2.46 2018-10-26: Corrected where the recently added icons were being loaded in the programming. This was causing the DarkUI versions of these icons to be used even though "Use DarkUI Icons" is Off. Thank you to Gallaigh for letting me know. 2.45 2018-10-25: Improved left and right edges of the target bar to better fill out to the edges. Contributed by 'ovinnik'. Thank you! 2.44 2018-10-22: API bump for Murkmire. Added vertical scrollbar bar to DarkUI. Added padlock icon to DarkUI (locked, unlocked, hover). I made this a little smaller to be closer in size to the other 16x16 icons. Added jewelry icon to Light, Dark, and Heart's Day themes. Added sketch icon to Light, Dark, and Heart's Day themes. Leaned the boss bar brackets slightly to line up better with the ends of the target bar. Corrected mistake with the miniboss brackets around the target bar. The texture was the wrong width causing it to float too far out. Thank you to Inspirer (and anyone else that might have posted this that I missed). Added weapon swap icon to Light, Dark, and Heart's Day themes. Added jewel crafting icon to Light, Dark, and Heart's Day themes. 2.37 2018-08-09 API bump for Wolfhunter. 2.36 2018-05-21 API bump for Summerset. 1. 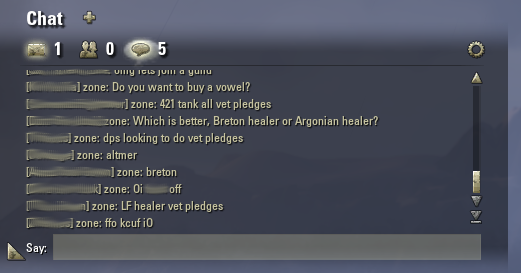 Added new chat window background to "Smoother Backgrounds by Pulsor", contributed by Pulsor. 2. Added option to hide the status meter background. This is the small window that holds /latency, /fps, etc. 2.34 2018-02-12 API bump for Dragon Bones DLC. 1. Keyboard: Added 'Theme Attribute Bar Overlay'. This puts a semi-transparent theme-based overlay on the attribute bars so they will, for example, look more gray with the Dark theme or like a strawberry milkshake if you're using 'Heart's Day'. Mmm... strawberry milkshake. This is only on the primary attribute bars. It's only 20% transparent so you can still get a small amount of the red, green, or blue color through. If this option is used then it will override the 'Glossy' option. 2. Fixed a couple broken texture redirects. 3. Archive should contain 1,393 files. If something isn't appearing, please be sure everything is there. 1. Gamepad: Redid the buff icon border. Ligtened the inner part of the border to match other elements like the compass edge. Squared off the corner pixels. 2. Added icons for battleground icons for Group & Activity Finder. 3. Archive should contain 1,381 files. If something isn't appearing, please be sure everything is there. 1. Added a Heart's Day theme for fun! The download should contain ~1,375 files. 2. Corrected version in manifest file. 3. Redid the Light version of the infamy meter. 2.30 2018-01-24 I finally updated LibAddonMenu to latest version. Thank you, luigee, for pointing this out. 1. Added Community Contributions to the DarkUI options. 2. Added "Smoother Backgrounds by Pulsor". This a redo of the default sharp edges of the DarkUI backgrounds and gives them a smoother edge. Thank you, Pulsor! 2.10 2017-10-28 Tweaked some of the backgrounds to fit better and encompass the slider for that window. Some of the backgrounds are used by several different windows so I had to find a happy medium; a little bigger than needed for one window but just barely big enough for another. Just a side note; at first glance in the settings menus it looks like the slider on the left is outside of the window but this actually belongs to the main menu options on the left that doesn't have a background. 1. 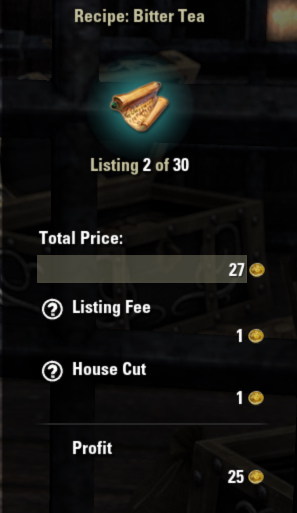 Removed the item highlight when selecting items in the guild sell window. This doesn't line up correctly depending on addons, item size, etc. I think it looks fine without. 2. Removed API version for pre-Clockwork City. 2.8 2017-10-03 API bump for Clockwork City. 2.7 2017-09-19 Keyboard Dark: Improved the infamy meter frame. I've never been happy with it. 2.6 2017-09-17 API bump for Horns of the Reach. Updated API and version for release of Morrowind. Keyboard/Gamepad Light/Dark: Redid the darker attribute and target bar fill textures. The ones I originally did were solid and, for example, didn't include the semi transparent edges that make the default ones looks smoother. Very minor code cleanup. I removed a couple blank lines and resorted one array. A couple people were having trouble with textures not appearing so this update is mostly to get Minion to reinstall it. 1. Keyboard Light/Dark: Fixed placement of icon for chat window options. 2. Keyboard Light/Dark: Added left and right arrow icons to the crafting window. 1. Keyboard Dark: Fixed a small mistake on the desconstruct icon. 1. Keyboard Light/Dark: More icons added for the campaign and friends windows. 2. Keyboard Dark: I redid all of the disabled versions of the icons to make them smoother. The light theme icons already look pretty good. 3. The light theme will continue! I've been hearing from people. I just wasn't aware that people were using it. Thank you! 1. Keyboard Light/Dark: Further improvements to the attribute, target, and progress frames submitted by Ickz with some color adjustments by me. For those who might be interested, the DarkUI theme is based around RGB: 41, 41, 41 HTML: 292929 and the icons are RGB: 128, 128, 128 HTML: 808080. Light theme is based around RGB: 173, 166, 132. 2. Keyboard Light/Dark: Changed the small attribute bar backgrounds transparency to match the larger bars. 3. Note: Is anyone using the Light theme? Please let me know as I am thinking of removing this. 1. Keyboard Dark: Redid the "up/deselected" state of 130+ icons. I wasn't happy with how pixelated some of them were looking. I was too aggressive when I was trimming them down originally. I changed the process a bit and the result is smoother looking icons. I still need to redo the "disabled" state and the up and disabled light theme icons. 2. Keyboard Light/Dark: Removed many redundant icons. The "down/selected" version of most of the icons was identical to the default UI so they were not needed. 3. Keyboard Light: Fixed missing chat window "down/clicked" mail icon. Keyboard Light/Dark: Another icon pack. This is for the crafting windows. Keyboard Light/Dark: Additional tweak to the target frame by Ickz with recolor for Light theme by me. Keyboard Light/Dark: Made a number of adjustments to the target frame including the border, fill, and background. The fill should have a sharper edge now and appears to mesh better with the edge of the frame. I forgot to test with the gloss overlay but if anyone sees any problems, please let me know. Keyboard Light/Dark: Added icons for the group window. Keyboard Light/Dark: Added icons for the world map window. Keyboard Light/Dark: Added angled compass overlay for to go with the angled compass option. The squared overlay is still used with the squared compass option. 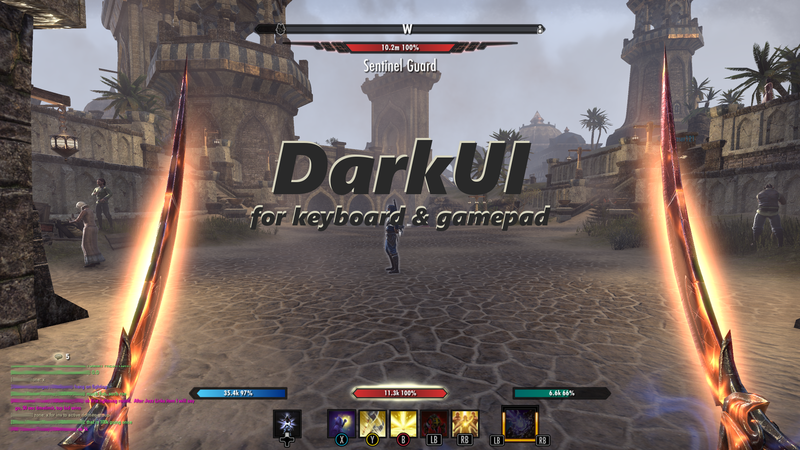 Keyboard/Gamepad Light/Dark: Added option to disable DarkUI icons. 2. Keyboard Light/Dark: Added the sun and moon icons for Cadwell's. 1. Keyboard Light/Dark: Added icons for the main options of the Collections window. 2. Keyboard Light/Dark: DISABLED many icons in sub menus. I am finding a lot of these are used elsewhere and by addons and it was starting to look messy with menus half dark and half default UI. I want to keep the icons seen in the main world view such as the menu bar and the chat window. I don't mind doing the main menu options at the tops of windows if people prefer them but it doesn't look like i'll ever be able to reach all of them and i'd prefer it to look uniform. Please, send me feedback on this. It is appreciated. Thank you! 1. Keyboard Light: Redid the round passive ability frames for the skills window so they were smoother and less jagged looking. 1. Keyboard Light/Dark: Added missing Cadwell's Almanac icon from main journal window. 2. Keyboard Light/Dark: Added icons for the guild window and other sub menus. 3. Keyboard Light/Dark: Added icons for the leader board window under the journal window. 1. Keyboard Light/Dark: Added icons for the skills window; armor, pvp, class, guilds, racial, trade skills, weapons, and world. 1. Keyboard/Gamepad Light/Dark: Added theme low transparency backgrounds for tooltip borders so the edges aren't a lower transparency than the center of the tooltips. 2. Keyboard Light/Dark: For the quest journal window; added the quest, lore library, achievement, and leader board icons. 1. Dark/Light Keyboard: Added right arrow rotate icon. This is used by FCO ItemSaver, for example. 2. Dark/Light Keyboard: Added the mail inbox and send icons. 3. Dark/Light Keyboard: Added morph arrows. 4. Dark/Light Keyboard: Added morph icon. 1. Added some organization and categories to the settings window. 2. Made some touchups to the backgrounds. This took WAY longer than I expected... tiny imperceptible flaws were more visible when making them lower transparency (see 4). 3. Gamepad: Added grayscale button option. This will make all the color button prompts for both Xbox and PS4 (some other addons switch the normal Xbox button style prompts for the PS4 buttons) grayscale so they will have no colors. 4. Keyboard/Gamepad: Added low transparency backgrounds option. This will make all of the windows have a very low transparency. I tried a flat no-transparent backgrounds but I thought it looked pretty bad. There is a small amount of transparency around tooltip windows which I haven't changed yet. That requires making theme (dark/light) versions. 1. Dark/Light Keyboard: Added bank icons for withdraw, deposit, and tel var. Gold was done previously. 2. Dark/Light Keyboard: Added stablemaster icons for active mount, selected mount, feed, ready, capacity, speed, stamina, and add points (this might be used elsewhere too). 2.2.8 2017-03-09: Another batch of icons. 1. 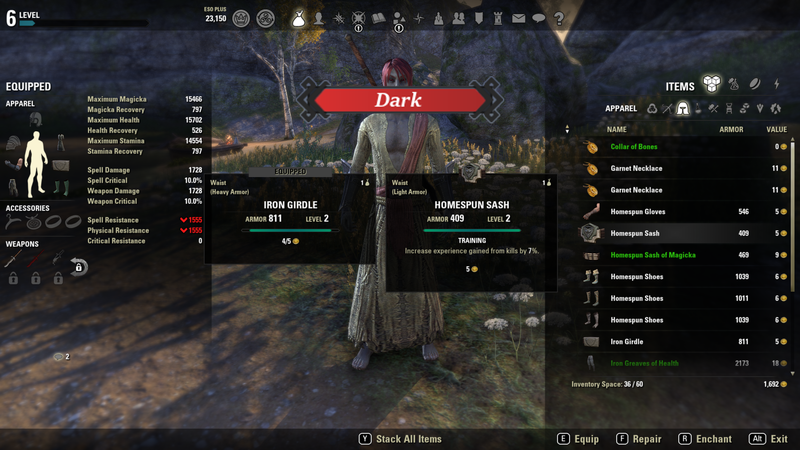 Dark/Light Keyboard: Added craft bag icons for blacksmithing, clothing, woodworking, enchanting, alchemy, provisioning, item traits, and style materials. 2. Dark/Light Keyboard: Added the vendor icons for buy, buy back, fence, repair, and sell. 2.2.7 2017-03-08: Another batch of icons. 1. Dark/Light Keyboard: Added the eight inventory icons. 2.2.6 2017-03-07: Small batch of icons. 1. Dark/Light Keyboard: Added the four top inventory icons; Items, Craft Bag, Currency, and Quickslots. These are used in other places as well. 2. Dark/Light Keyboard: Added the All icon. This is used in other places as well (Collections, etc). 1. Mea culpa: I realized i've been making a mistake as I put out new versions. I was causing the saved variables to keep defaulting. I apologize for any frustrations people have been having who keep losing their settings. 2. Light Keyboard: Selected icon of main menu is now white. This follows the behavior of "Dark" and the other system icons. 3. Removed the main menu bar vertical divider. I just couldn't find a good look for this. It's just a tiny streak between the crown crates and the inventory icons. Let me know if anyone feels this is important. 1. Dark Keyboard: Selected icon of main menu is now white. 1. Fixed problem with flat bars never being used. 2. Fixed problem where values were being set after function was called instead of before. 3. Dark Keyboard: Restored round passive frames from earlier version. Feedback suggested they were smoother. 1. Dark Keyboard: Redid main menu vertical divider. 2. Light Keyboard: Added new main menu vertical divider. 3. Dark/Light Keyboard: Added additional color options to Quickslot Radial Menu. Blue (default), Dark, and Light. 4. Dark/Light Keyboard/Gamepad: Additional code cleanup. 1. Dark Keyboard: Reworked all of the main menu icons. 2. Light Keyboard: Added new main menu icons. 3. Dark Keyboard: Reworked all of the chat window icons. 4. Light Keyboard: Added new chat window icons. 5. Dark Keyboard: Redid the tooltip "equipped" tab. 6. Light Keyboard: Added tooltip "equipped" tab. 1. Gamepad/Keyboard: Renamed "Original Dark" and "Traditional Gold" themes to "Dark" and "Light". 2. Gamepad/Keyboard: Removed the color themes to focus on the Dark and Light themes. I want to offer something for everyone. Some people may not care for the dark UI so I would like to offer "Light" as an option. I think "Light" is a great alternative to the default UI and may offer more than other addons. 3. Dark Keyboard: Darkened main menu icons. I would appreciate feedback on this before I do all of the other icons. Is it too dark? Should it be redone? Thank you. 4. Dark Keyboard: Darkened chat window icons. I would appreciate feedback on this before I do all of the other icons. Is it too dark? Should it be redone? Thank you. 5. Dark Keyboard: Darkened main menu vertical divider. 6. Dark Keyboard: Redid the tooltip "Equipped" tab. 7. Dark Keyboard: Completely redid the quickslot radial menu. 1. Removed the line causing the entire default raid frame to not appear. The intention was that only the labels wouldn't appear. Sorry for that. 1. Keyboard: Added line I "think" will remove the raid frame group numbers. Please, let me know if this breaks something. Thank you, Anceane. 2. Gamepad: Fixed the round passive ability frames to make them smoother. 3. Gamepad: Fixed square ability frames. They were appearing lighter than intended. 4. Gamepad: Fixed powerful mob (guards, etc) bars. There were some hidden pink pixels in them. 5. Gamepad: Extended the bottom hint bar a few pixels so it fully reaches the right edge. 1. Keyboard: Added option to hide the group frames. Shout out to Grumble_and_Grunt on the ESO Forums. 2. Keyboard: Redid the round passive frames. They were hiding some errant pixels that made them look pixelated after being recolored. Thank you, Bierdeife for finding this. Please, let me know if these are ok. Introducing color themes! DarkUI will still offer the same dark color theme along with any number of other color themes. This initial release includes Original Dark, Traditional Gold, Dark Red, Dark Green, and Dark Blue. I've worked through each individual texture to allow additional color themes to be added quickly and easily. Any ideas for colors you think people will like? Abyssal Beryl? Regicide Red? Lavender Blush? Lemon Chiffon? Dodger Blue? Let me know! 1. Reworked numerous textures to improve sharpness and color. I found a lot of textures were hiding flaws that weren't visible until colors were added. 2. Changed the file structure to move textures that are used by multiple themes into their own directory. Looking ahead, this will greatly reduce the addon size as themes are added. 3. Removed the vanilla UI option as this was the same thing as disabling DarkUI. 1. Keyboard: DarkUI'ed the group frames and increased transparency to reduce blocking view. 2. 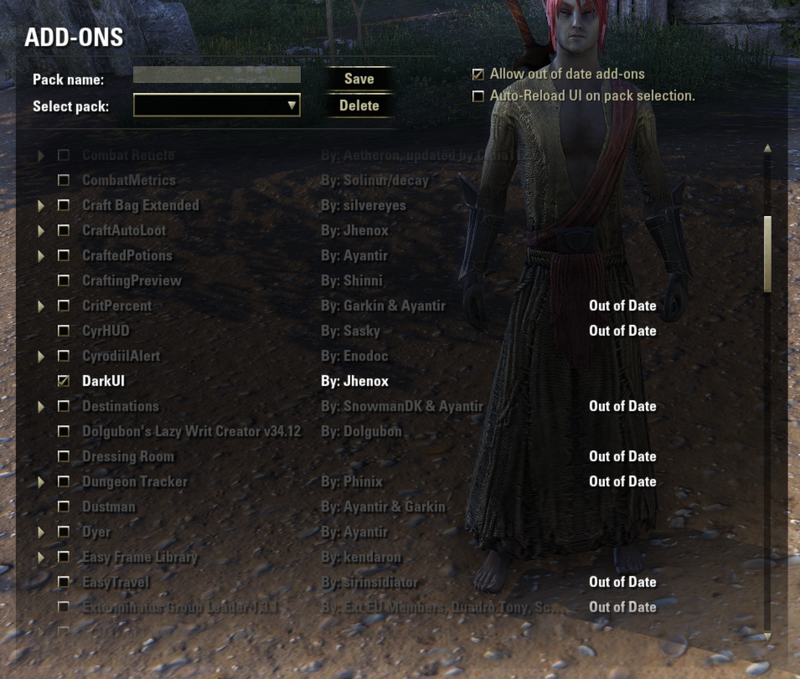 Keyboard: DarkUI'ed the keep status window at keep vendors in Cyrodiil. 3. Keyboard: DarkUI'ed the settings window. 4. Keyboard: DarkUI'ed the addon selection window. 1. Keyboard: Removed several unused textures. 2. Keyboard: Fixed path for compass frame. 3. Extensive file checking and file renaming. I've double and triple checked and tested everything but please let me know if any textures have broken. 1. Keyboard: Retextured boss (world bosses, etc) and powerful mob (guards, etc) brackets to a more uniform color. 2. Keyboard: Moved boss (world bosses, etc) brackets to be correctly positioned around the boss health bar. They were lower and further out from the bar than they should have been. 3. Keyboard: Made angled compass ends one pixel thicker to be uniform with thickness of top and bottom edges. 4. Keyboard: Fixed missing border around stolen item tooltips. 1. Keyboard: DarkUI'ed the enchanting table rune window. 2. Keyboard: Made some minor adjustments to the tel var frame. 1. 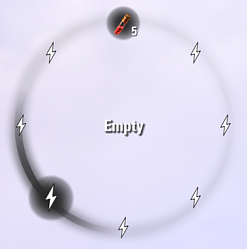 Gamepad: Redrew compass to be sharper. Default game compass is a little splotchy. Yes, I stare at pixels. If anyone knows someplace in the game that is brightly lit like an instance that is always bright daylight i'd appreciate it. I sometimes have to wait hours for bright daylight. 2. Gamepad: Darkened the tel var counter frame. 3. Gamepad: Darkened the infamy frame. 4. Gamepad: Removed the background to the infamy frame the same as I did with the keyboard version. I didn't feel like it added anything and the game doesn't overlay the two transparent layers exactly right and it looked messy to me. 1. Keyboard: Made slight change to outer pixel in the compass border to bring it to DarkUI's base color. It was slightly darker than intended. 2. Gamepad: Redrew the angled window tab that appears while in inventory, etc. It was splotchy. It was mostly unnoticeable depending on the brightness of the background. 1. Keyboard: Cleaned up ends of the optional angled compass. 2. Keyboard: Fixed the status window background. There were duplicate lines. One was setting the background and the other was setting it to transparent. Keyboard/Gamepad: Added in additional textures for the "darker bars" option. This includes the target bar and the small mount stamina bar. Fixed problem that was causing the UI to fail to load. 1. Gamepad: Darkened borders for skills and passives. 2. 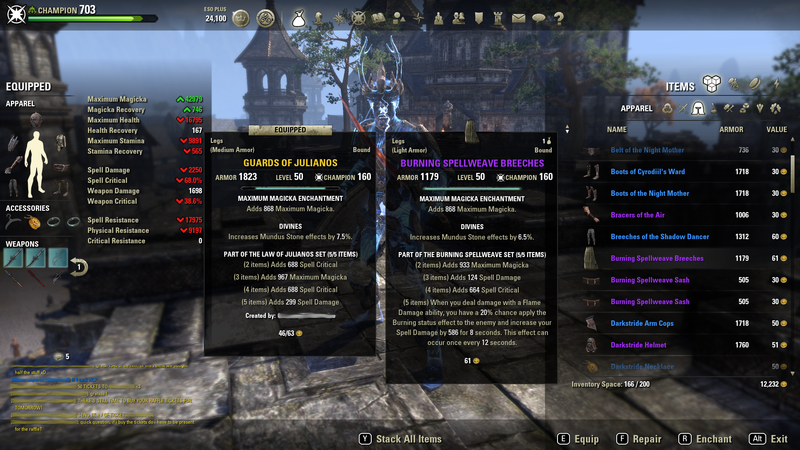 Keyboard: Cleaned up the item highlight when using the guild vendor sell window. There is a halo around the actual item being sold rather than the splotchy background around the entire panel. 3. Additional minor organization of the code. Keyboard: Fixed missing attribute bars on the character window. 1. Lots of code clean-up and streamlining. This is still a work in progress. 3. Fixed problem with not being able to return to normal attribute bars once darker bars option was selected. I read the reported problem while I was in the middle of the code rewrite and I wasn't able to reproduce the problem afterwards so i'll call it fixed. Keyboard/Gamepad: By request, added option to darken the attribute bars. This currently only applies to the attribute bars on the main game-world window but If people are interested in this then I can apply this for all of the bars. Gamepad: Fixed missing border around achievement, blade of woe, and synergy icons. 1. DarkUI'ed the death recap window. 2. DarkUI'ed the status meter window. Added option to choose squared or angled ends to the compass. FYI It seems you have to reload the game if you try switching the compass end styles. /reloadui and even going back to the character selection screens aren't enough to get the new texture to load. DarkUI'ed another miscellaneous window. This one is used for the House Information window, for example. Thank you, Anceane. 1. Gamepad: Darkened champion bar. 2. Gamepad: Darkened item charge/damage bar. 3. Gamepad: Darkened boss target bar borders. 4. Gamepad: Darkened the bottom bar. 5. Gamepad: Reduced height of bottom bar so it didn't overlap the minimized chat window notification. 6. Gamepad: Darkened skills bar. 7. Gamepad: Darkened ultimate frame. 8. Gamepad: Darkened map border. 9. Gamepad: Added flat and glossy bar options. 1.5.0: 2017-02-09: I've started making additions for gamepad. There is still more to do. I've added vertical dividers, target bars, and attribute bars. I'm still hunting down the bottom bar divider and I know the map border needs to be done. Some things I darkened but I didn't see any visible change. Please, let me know if I broke something. If you happen to know of the actual asset name and location then that would be a great help. 1. DarkUI'ed the background for the minimized chat toolbar. Made minimized chat toolbar thinner to better fit the toolbar icons. 2. Made matching highlight minimized chat toolbar. I'm not even sure when/if this is needed but it's there. 3. Reduced the size of the bottom bar. It was originally the same height as the top bar but was larger than needed to fit the items that appear in the bottom bar. 4. DarkUI'ed the loot window. 2. DarkUI'ed the deconstruct/improve/refine panels. Lockpicking bar (and problably other timer bars) now affected by glossy and flat options. 1. DarkUI'ed the item tooltip charge bar with glossy and flat options. 2. DarkUI'ed the miscellaneous bars like champion, level, research bars, etc and with glossy and flat options. 3. Darkened the worldmap edges. Thank you, Anceane. 4. Fixed a line. Thank you, chavovaldez. 5. Set smooth background for the champion bar and miscellaneous progress bars. 1. Added Glossy Bars option to the settings panel. Default is flat bars. 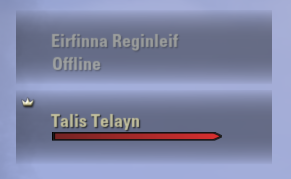 I noticed the attribute bars on the character sheet didn't always change with a reloadui but they did with a reload. 2. Normalized everything to just be called DarkUI or 'dui'. You might not see anything selected on the settings panel because the option name doesn't match the saved variables but the defaults should still load anyway. 3. Touched up the character sheet attribute bars a little. There were some stray pixels. 1. 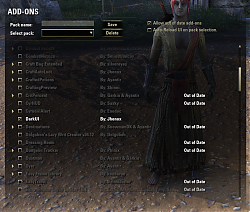 Corrected parts of the chat background that were being unexpectedly used in other parts of the UI like in the guild vendor list. This was causing a line to appear on the left side of the listing. 2. Restored gloss overlay for the attribute bars. 3. Restored gloss overlay for the small attribute bars on the character window. 1. Adjusted the infamy frame to a smoother circle. 2. Removed the default infamy frame background. This was not lining up right with my frame and I didn't feel like it added anything other than to make it look messy. Please, let me know if you have any problems with this. 3. Removed the version from the addon settings page. 4. Tweaked the mount stamina so the fill doesn't extend past the frame. Interestingly, this also looks like a problem with the default UI now that I am looking for it. 5. Changed the guard health bar to match the rest of the UI. 6. Darkened the brackets around targets and boss bars to match the UI theme. DarkUI'ed the infamy (bounty) frame. 1. DarkUI'ed the tel var stone frame. Corrected the overlay color for increased armor. Changed to a gray highlight. Adjusted the height down one pixel so it's even above and below the health bar. 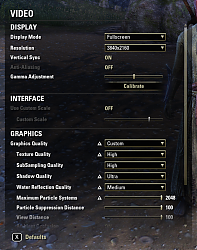 After updating today, 03-apr-2019, version 2.56, crashes ESO as it attempts to display the interface, causing the game to close. After disabling DarkUI the game returned to normal. Try to reinstall addon completely, because only 1 file has been changed, and it was french localization file. are the angular keybind buttons a new feature of this addon? For me, they suddenly look similar to what PerfectPixel does, even though I don't have it installed. Is it just me? I'm not seeing anything about this in the change log. Same. I didn't find a way to disable it, so I went back to version 2.51 before Pulsor started "improving them". In 2.54.1 it will have separate option to enable. And if it isn't just me, could this feature be made optional? Yes they are a feature from now, i missed color on dark theme, my fault, i also will make them as option. Last edited by Pulsor : 03/15/19 at 02:50 PM. Hello. There is one option to disable the group frame background but that will make it transparent, not use the cloudy default background. Otherwise there are a number of addons that make some really nice group frames with additional information that work find with DarkUI. Got this addon and loving it! Is there a chance to make resource bars in piramid? Or maybe undock them to move them around? Get something like Azurah for that. It works great! I don't think something like that will be added to DarkUI. Last edited by phototrope : 03/05/19 at 06:18 PM. Hmm. I thought I found a mistake with the localization where I was referring to it by a string and not the variable but I think it's OK. I checked to make sure all the textures are accounted for in the latest zip. I know it is a pain but can you try the usual disabling DUI completely, reload the game, then enable again and reload the game, please? So I tried that on both the character level and from the character select screen addon menu. Nothing worked. I decided to just uninstall the addon (including deleting variables) and reinstall. This fixed it. Before uninstalling I tried disabling a few addons like Azurah and LuiExtended, anything I could think might be causing an issue and the issue persisted. Last edited by phototrope : 03/04/19 at 08:26 PM. With the latest update I'm having an issue. At first I thought it was just the Mixed template, but the other templates are affected as well. Some icons are gone until you highlight over them and missing border around tooltips. Last edited by Jhenox : 03/04/19 at 05:14 PM. Last edited by phototrope : 03/04/19 at 09:08 AM. Now I'm the happiest dunmer ever! Another addon with this functionality is Azurah. Perhaps you use it already. The colours there are a bit more muted.